The electrical systems within the buildings on a commercial property are often rarely thought about until the power goes out. This is when all the occupants in a building realize collectively that no electricity equals no lights, no power, no heating, no cooling, no transportation systems, sometimes no communications, and in general... no business. Electrical Systems Equipment and components all have life expectancies and eventually fail the same as any other components in a commercial building. Although occurring less often than mechanical failures due to fewer moving parts, recognizing and planning for proper electrical repair and replacements before failures occur is actually more critical. Identifying the electrical service sizes voltages and phasing it is an important aspect of all commercial property inspections and property condition assessments. It is not an uncommon occurrence that a commercial property buyer has already acquired and moved into a facility before realizing that there is insufficient power to run certain pieces of equipment that they have planned on utilizing, and end up immediately investing substantial funds to hire an electrician and then wait many weeks for the utility company to deliver the power that they wish they would have known about and planned for ahead of time. A very experienced inspector or reviewer very well may recognize most types and conditions of electrical systems utilized, but often the opinion of a seasoned expert is still beneficial as electrical is generally the least understood of the building system disciplines. 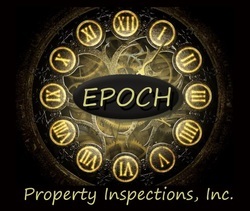 As a with any building system commonly found on a commercial property routine inspection and condition assessment followed by application of proper maintenance materials and techniques is of utmost importance in ensuring the longevity of any electrical system. Examples: electrical service, switchboard, distribution, panelboard, conduit, cabling, wire, over-current, safety switches, circuit breakers, current-transformers, metering, service grounding, voltage, phasing.